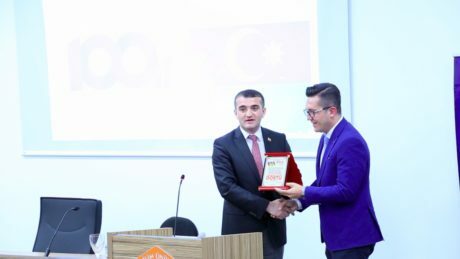 The “Friend of the Republic” award was presented to a number of people for their support for the activities to promote the truths of Azerbaijan around the world. 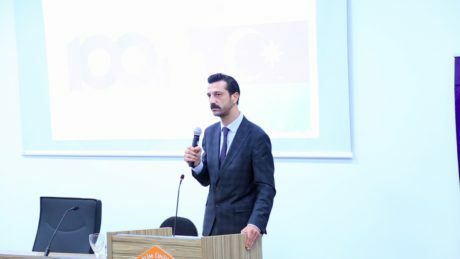 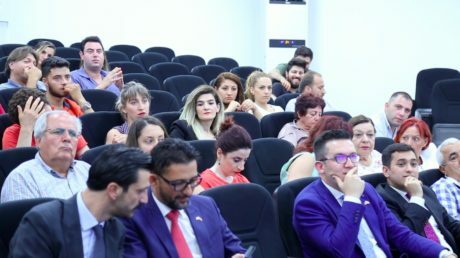 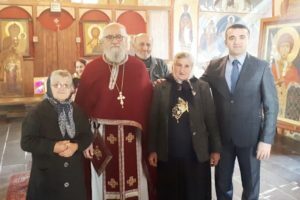 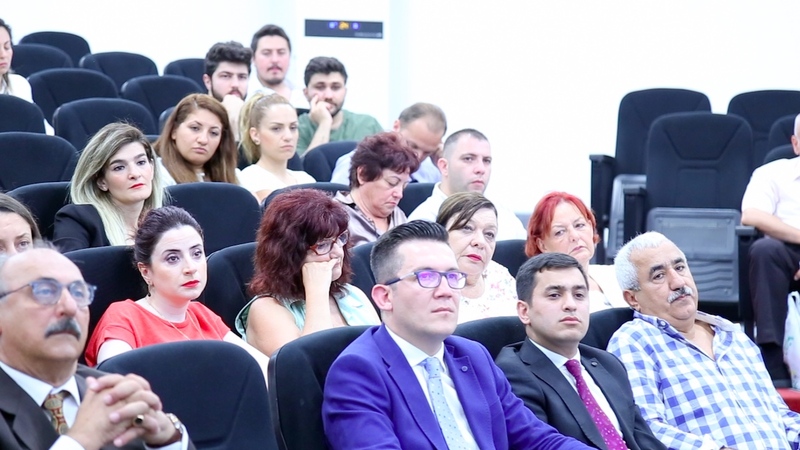 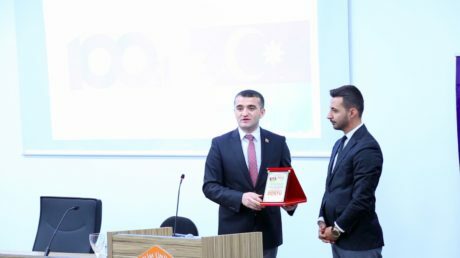 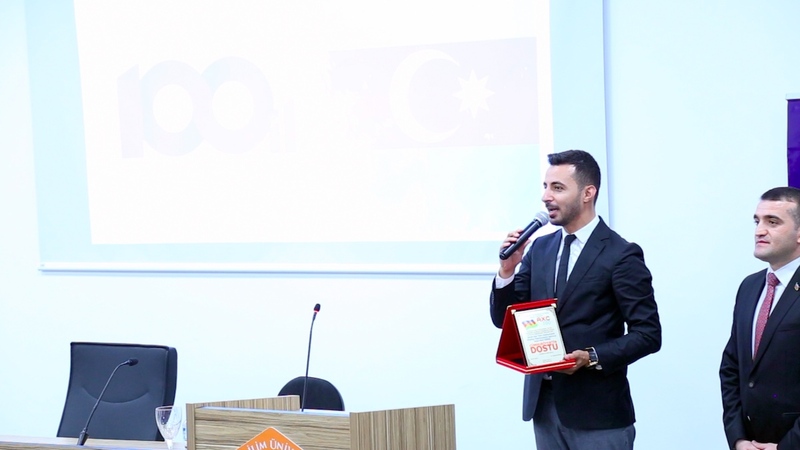 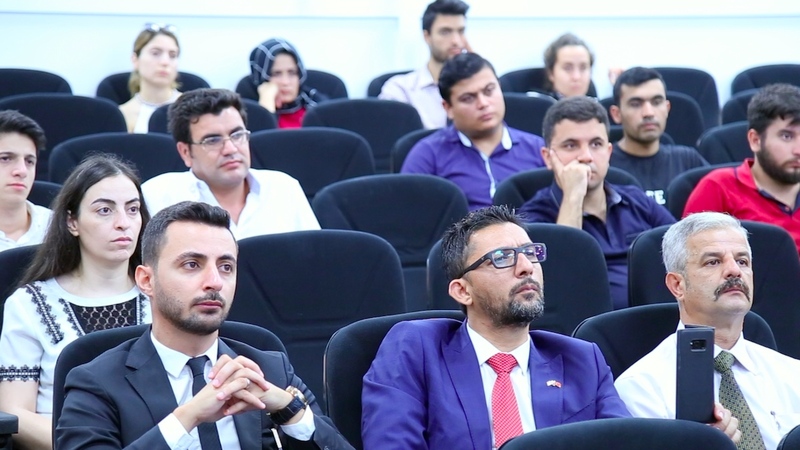 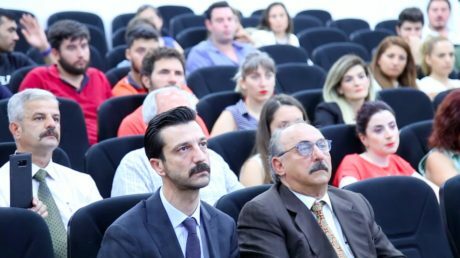 A conference on the 100th anniversary of the Azerbaijan Democratic Republicwas organized in the Turkish Republic of Northern Cyprus on May 29. 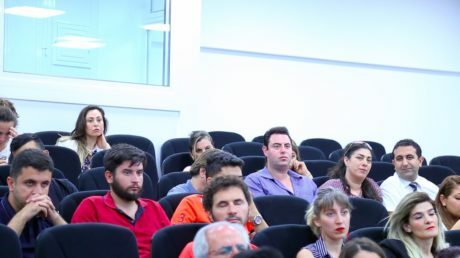 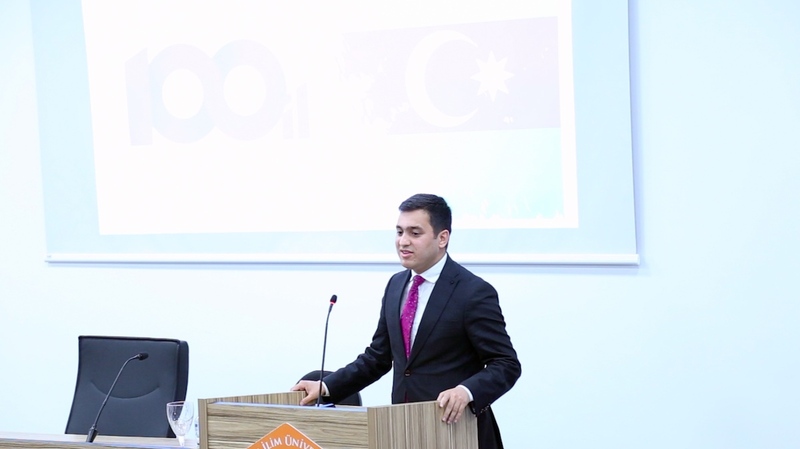 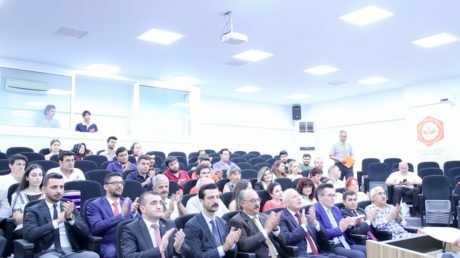 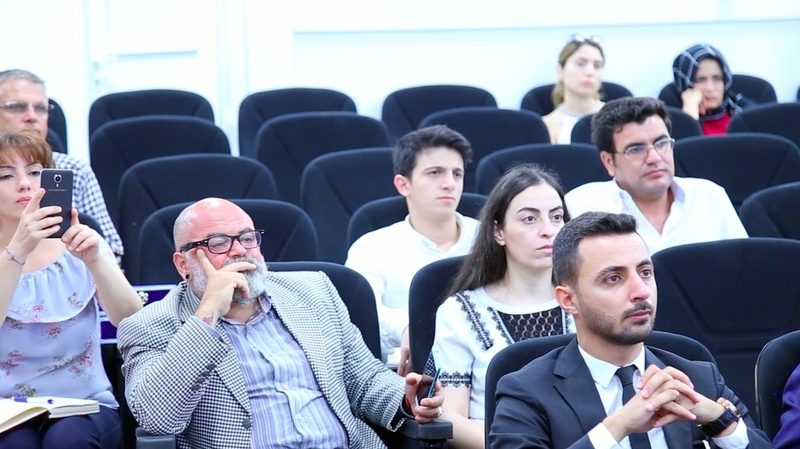 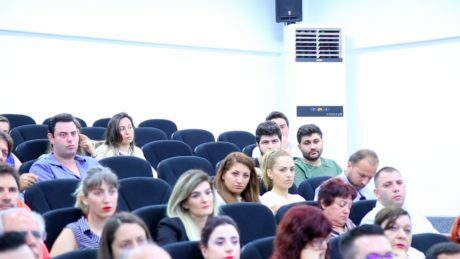 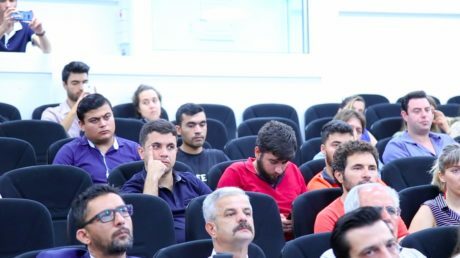 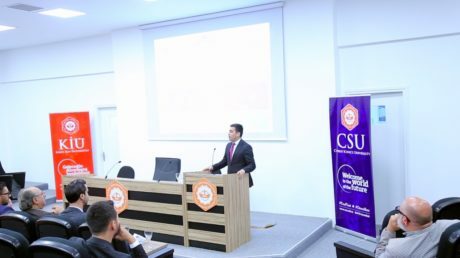 The conference, jointly organized by the Cyprus Science University, the Reformist Youth Public Union and the Azerbaijan Institute for Democracy and Human Rights, started with the national anthems of Turkey and Azerbaijan, followed by the speeches on history of the Azerbaijan Democratic Republic, its past and present. 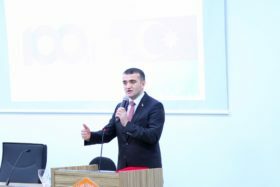 Deputy Chairman of the Parliament of Turkish Republic of Northern Cyprus Mr. Zorlu Toredelivered his congratulations on the occasion of the 100th anniversary of the Azerbaijan Republic and spoke about the importance of Azerbaijan as a strategic part of the Turkish world and the Turkish-Azerbaijani-Northern Cyprus relations. 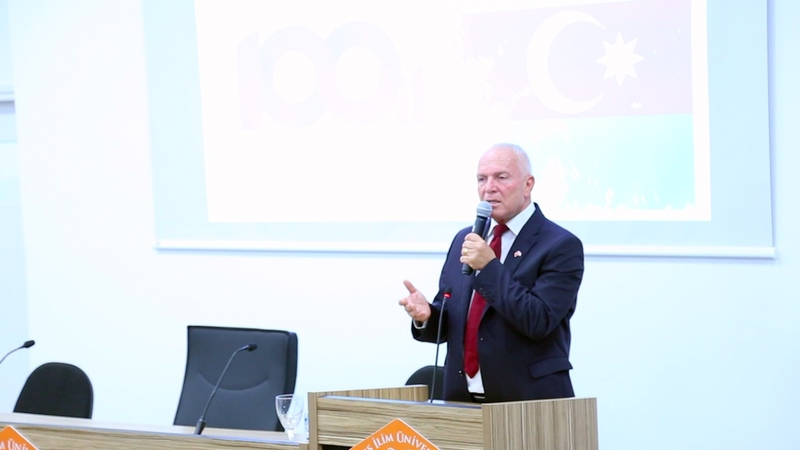 Chairman of the Board of Trustees of the Cyprus Science University Mr. Selman Arslanbashexpressed his pleasure to host this historic day and spoke about the current development path of Azerbaijan. Rector of the Cyprus Science University Mr. Ahmet Bülend Gökselpraised Azerbaijan’s statehood traditions, as the first democratic Republic of the Muslim East established on May 28, 1918 and underlined the importance of Azerbaijan in the unity of the Turkish world. 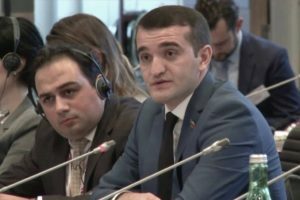 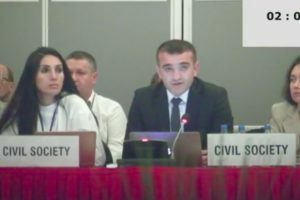 Ahmad Shahidov, the head of the Azerbaijan Institute for Democracy and Human Rights, said that the Republic of Azerbaijan, which was established 100 years ago, has been the first in history and has gained a number of innovations in the field of human rights. 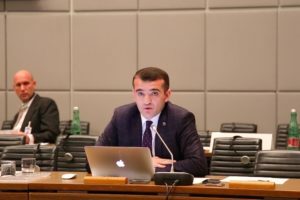 Human rights defender Ahmad Shahidov said that for the first time in Azerbaijan women have been given the right to elect and be elected and despite the fact that it has lasted 23 months, the values of the Republic still exist. 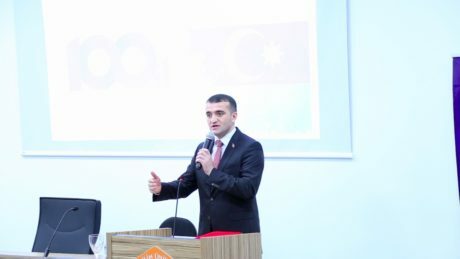 Drawing attention to the relations between Turkey and Azerbaijan, Head of AIDHR said that the Nouri Pasha’s release of Baku from the occupation is an indication of Turkey’s friendly and brotherly support throughout the history and this support is still continuing today. 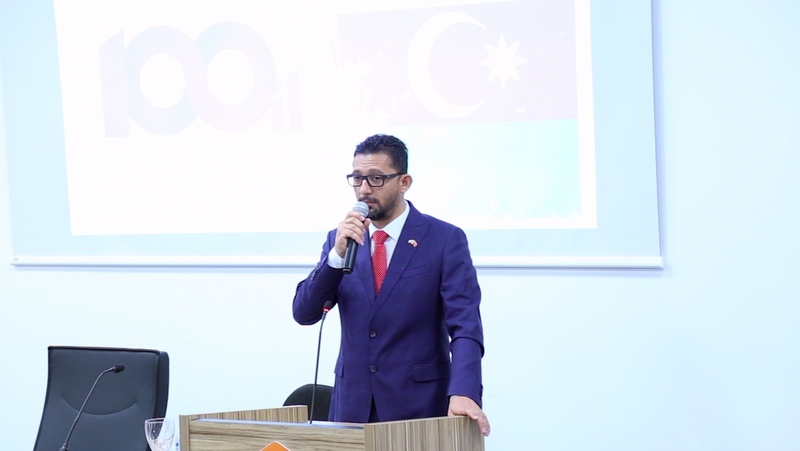 Speaking at the conference, Farid Shahbazli, the chairman of the Reformist Youth Public Union,drew attention to the history of the Republic and said that the history of 1918 was continuing today. 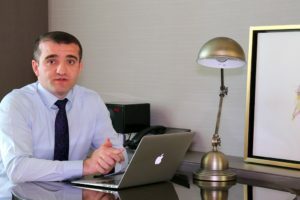 Chairman of RYPU Farid Shahbazli said that Azerbaijan, which gained its state independence for the second time in 1991, underwent a great development under the leadership of Heydar Aliyev and stressed the Heydar Aliyev’s unprecedented service in the formation of Azerbaijani ideology, and that this policy is being continued by Ilham Aliyev today. 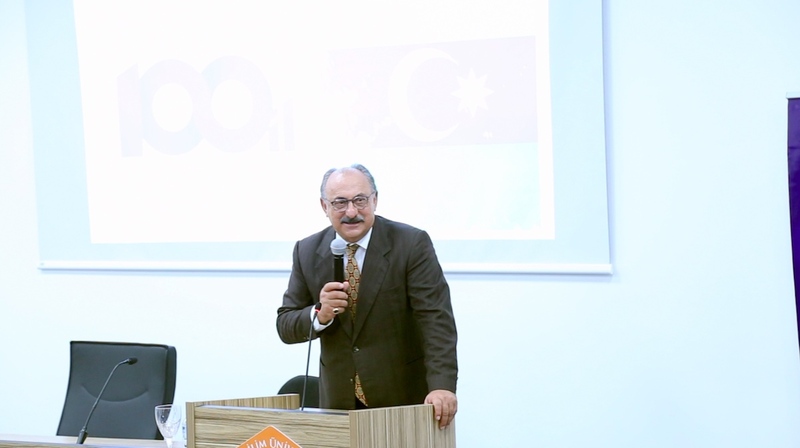 Later Chairman of Rauf Raif Denktash Ideas Association Mr. Latif Akca, Chairman of the National Democracy Party Mr. Buray Buscuvutchiand others conveyed sincere congratulations on the 100th anniversary of the Azerbaijan Democratic Republic and highly appreciated the Azerbaijan’s initiatives to work together with the Turkish world. 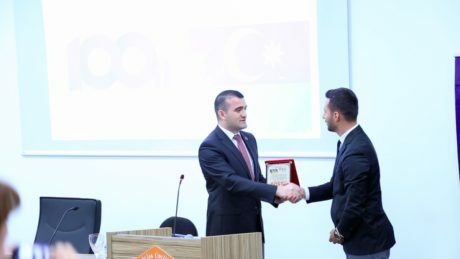 At the end, human rights defender Ahmad Shahidov presented the “Friend of the Republic”award to the Chairman of the Board of Trustees of the Cyprus Science University Mr. Selman Arslanbashand well-known presenter of the “Dialog” Television of North Cyprus Mr. Mert Özdeş, for their support for the activities to promote the truths of Azerbaijan around the world.